For all types of industries and applications, we provides all the options. Clamping and fixing products are manufactured to international & OEM standards, providing the best possible quality materials and designs. Our experience internationally as a supplier to major industries and manufacturers makes us the No. 1 choice. Clamping and fixing products are used and supplied to the following industries : Automotive, Chemical, Food & Drink, Military, Agriculture, Engineering, Marine, Mining, Aerospace, Electronic, Medical, Rail, Building, Welding. Banding is carton in 100 foot rolls and available in 201 stainless steel. Buckles, sold separately, are 201 stainless steel. Banding features specially rolled edges to reduce the possibility of injury. Use the C001 Banding Tool to install. 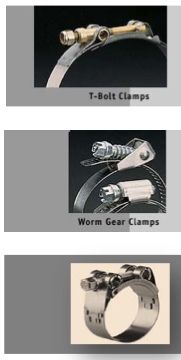 Worm gear clamps are available in standard 1/2” band, miniature 5/16” band, and quick release 1/2” band. All are manufactured with stainless steel band and stainless steel housing, with your choice of a carbon steel or stainless steel screw. 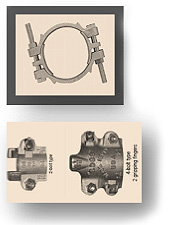 GBS heavy-duty hose clamps according to DIN 3017, are designed primarily for use in applications where hose clamps must meet stringent requirements. In particular, if suction and pressure hoses, complete with plastic or steel inserts and high shore hardness values, are to be connected and attached. The size from SL-22 to SL-1270.We have two standard U.S type and European type. They have precise sized, better mechanical behavior and tightness, they can be easily used.